Spacious and Upgraded – Citation XLS+ is SOLD! Latitude 33 Aviation is proud to introduce its newest super-midsize aircraft available for private jet charter, the Bombardier Challenger 300. This high-performing aircraft is ready to accommodate your next private charter flight. An expert in managing light jets, Latitude 33 Aviation further expands its expertise into the super-midsize category with the addition of Challenger 300 charter capabilities. 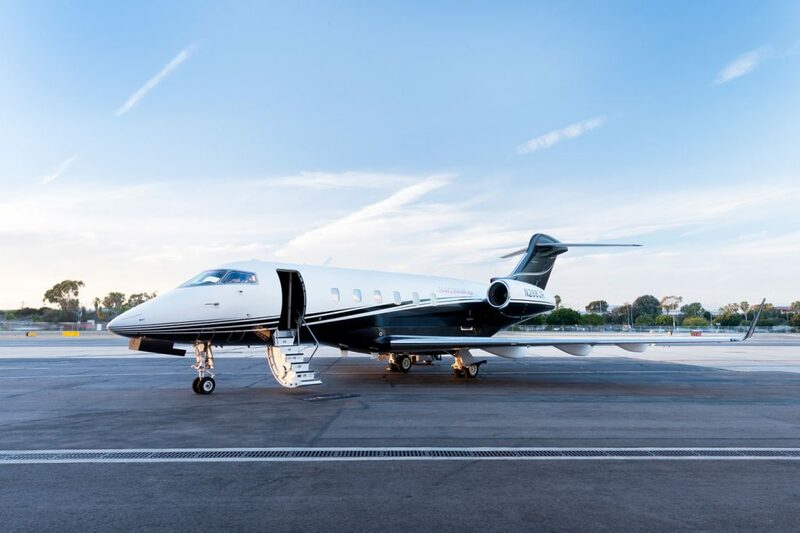 Based minutes away from Los Angeles International Airport (LAX) at Hawthorne Airport, Latitude 33 Aviation is ready to accommodate your next private jet charter flight in San Diego and Los Angeles. The Challenger 300 provides the leading edge of technology, comfort, and convenience. With a stand-up cabin of over six feet, and comfortably holding nine passengers, traveling across the country has never been more pleasant. The luxurious and pristine Challenger 300 includes eight leather seats, with an additional seat available in the enclosed lavatory. In addition to exceptional comfort, the aircraft is equipped with a galley (complete with microwave and coffee maker), a fully enclosed lavatory, and widescreen LCD monitors. Work efficiently onboard with ground-based Wi-Fi. 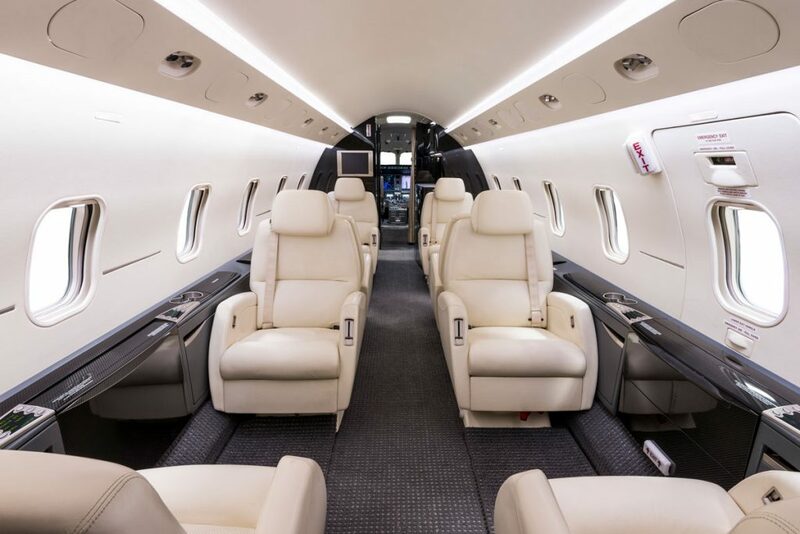 The Bombardier Challenger 300 is also equipped with a large in-flight accessible baggage compartment able to fit skis, golf clubs, and luggage. The Bombardier Challenger 300’s transcontinental range and runway capabilities provide access to remote airports. The large seats make for productive work areas and business meetings. The fully furnished snack bar is customized to your needs and desires. If you need any special arrangements, catered meals, or any in-flight services, Latitude 33 Aviation’s concierge charter department can happily arrange them. 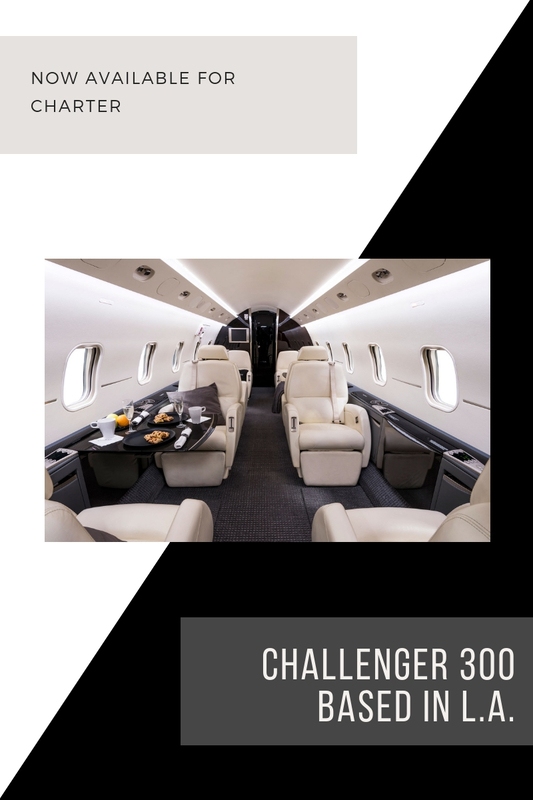 As one of the most popular aircraft in its category, the Challenger 300 combines luxurious comfort, exceptional performance, reliability, and outstanding operating costs. Its superior long-range cruise speed allows for non-stop trips from Los Angeles to Montreal and can travel to Europe, from various locations in the U.S., with one stop. The newest addition to the Latitude 33 Aviation fleet perfectly complements other exquisite jets available for charter. View our fleet page for additional information about this aircraft. Latitude 33 Aviation charter is available 24/7 for any custom flights and trips. Contact our concierge charter department at 1-800-840-0310 or email charter@L33Jets.com.